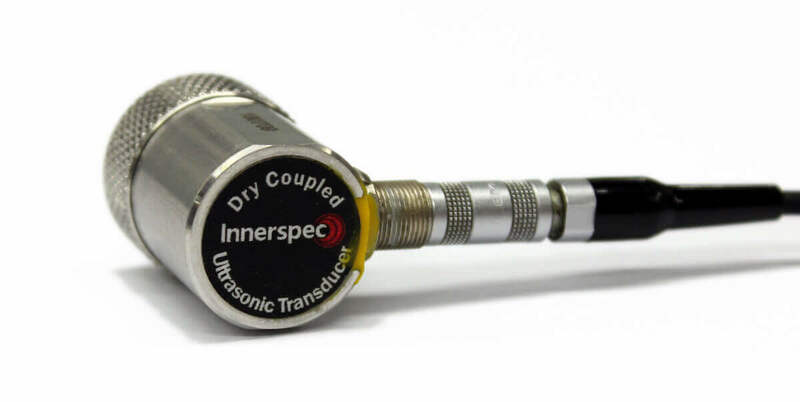 Our DCUT (Dry-Coupled UT) Transducers use Innerspec’s proprietary technology which takes advantage of Innerspec’s high-power UT instruments that provide the necessary energy to couple the sensors using only a thin rubber layer and very light pressure. Innerspec’s PowerUT® integrated systems and PowerBox portable instruments can deliver up to 3,000Vpp and 25kW of power for EMAT and DCUT for the most demanding ultrasonic applications. 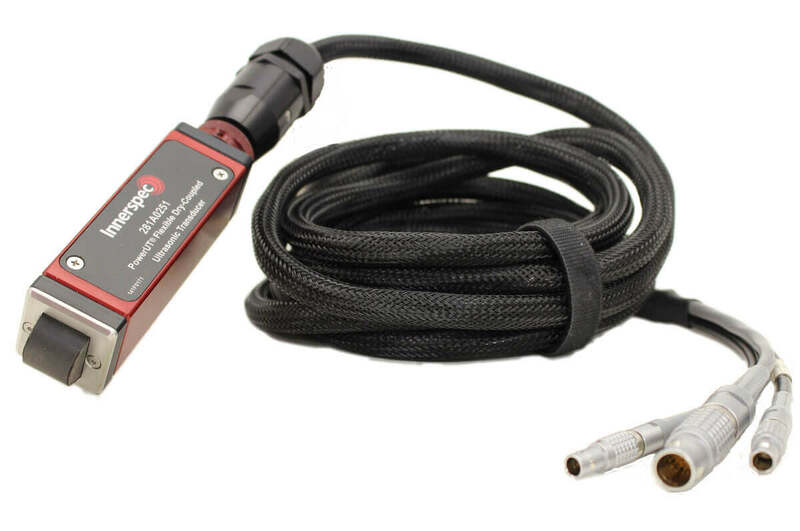 Existing DCUT Transducers include flexible and rigid contact sensors and wheel probes designed to generate L waves in normal beam mode for flaw detection, thickness measurement and weld inspection. Contact normal beam, with or without delay lines. Flexible with integrated signal conditioning (for remote operation). DCUT Transducers can be made only a few millimeters tall, and can easily bend and adapt to curved and irregular geometries. Inspections are cleaner, easier, and do not contaminate the material being inspected. 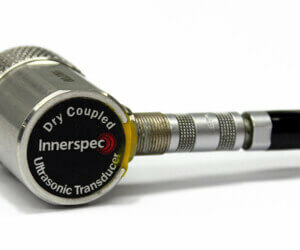 DCUT Transducers eliminate all the costs associated with couplant. on flat or curved surfaces. 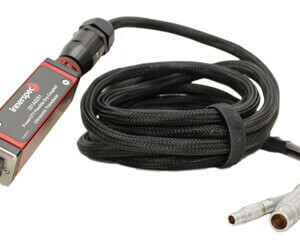 Adapter for piezoelectric transducers from other parties. Wheel scanner for flat and curved parts. Rod attachment for inspections at a distance.